Rehoboth Beach is known as "America's Summer Capital" because of the streams of visitors from Washington, DC and surrounding areas that journey to its shore each summer. The boardwalk is a quintessential part of the Rehoboth Beach experience, providing an active transportation facility for locals and tourists alike to walk, bike, shop, and play. The boardwalk plays a critical role in the local economy, as it is the only frontage access for many local businesses. 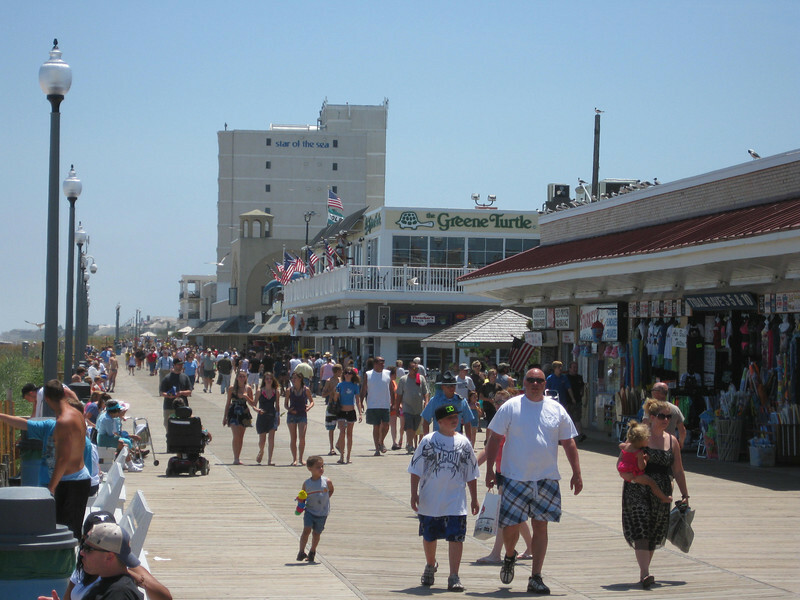 Selected as one of the top 5 boardwalks in the United States by the Travel Channel, the Rehoboth Beach boardwalk is also a key piece of infrastructure for the state's tourism industry, which brings almost 8 million travelers and $1.8 billion to Delaware annually. The original boardwalk was constructed in 1873. Over time, the boardwalk has been repaired many times due to decay and damage from hurricanes and other major storms. Most recently, in January of 2008 engineers discovered that the wooden sub-structure of the boardwalk needed to be completely replaced. The city completed the four-block Phase 1 of the boardwalk reconstruction project with $2.4 million in local funds despite the economic downturn. However, the city anticipated that completing the additional phases could take up to five years, due to funding constraints. The American Recovery and Reinvestment Act (ARRA) provided an opportunity to create local construction jobs by completing the remaining 3/4-mile of the project during a time of major economic hardship for the travel-based economy of Rehoboth Beach. In addition, the project provides a key piece of infrastructure that plays a significant role in the state economy.